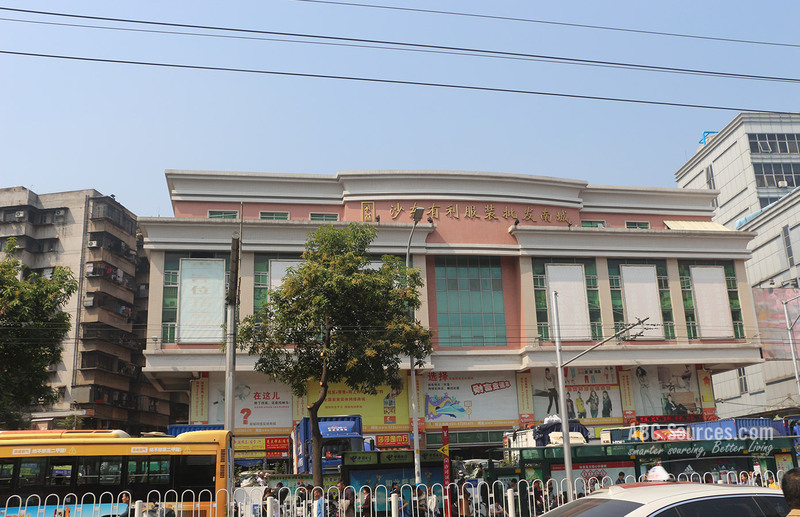 Shadong Youli Clothing Wholesale City is sitting at Lianquan Road within Guangzhou Shahe wholesale center. As I have mentioned in the last post, Shahe is home to several famous clothes wholesale markets, which are featuring of having all kinds of fashion clothes at a fairly low price. 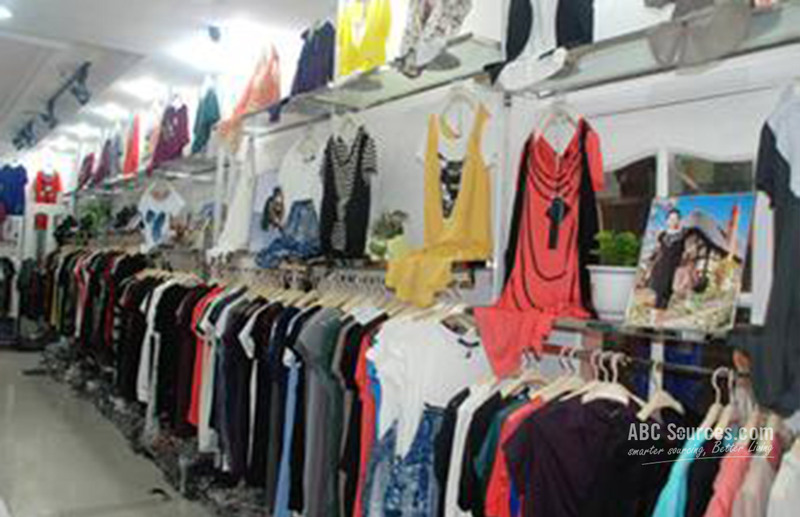 Shadong Youli Clothing Wholesale City is sitting at Lianquan Road within Guangzhou Shahe wholesale center. As I have mentioned in the last post, Shahe is home to several famous clothes wholesale markets, which are featuring of having all kinds of fashion clothes at a fairly low price. But let me tell you, the Lianquan road means a lot more to Guangzhou people. For your information, Lianquan road is the very place where Guangzhou clothes industry originated. It’s always the most famous garment distribution center no matter it’s in the past or what it is like right now. With 20 years’ development, Lianquan road has grown into being the most favorite place for domestic and international buyers to find clothing wholesale suppliers. Especially for those developing countries such as Southeast Asia and Middle East, Shadong is the most important source of importing garments. 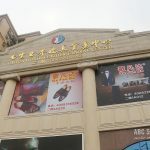 As the longest-lived market in Lianquan road, Shadong Youli Clothes Market has taken up the leading role in the whole Shahe area. 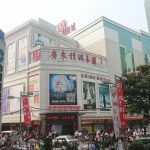 It is the largest, the most advanced and the fullest-equipped clothing wholesale market in Guangzhou all the times. It consists of three individual wholesale buildings: North City, South City and Hengli City. South City is located at No. 149 Xianlie East Road. 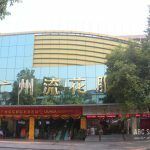 This market occupies about 22,000 square meters building area and contains about 1,200 shops; on the other hand, North City is sitting on No. 31 Lianquan Road, which boasts over 44,000 square meters and includes 1,400 shops. Here we have to highlight the outstanding role that North City occupies in Shahe. As far as we have known, the North City is the oldest wholesale market, and had undergone several expansions in the past, and right now it is of the largest scale and the biggest transaction volume in Shahe Wholesale Center. Hengli City is situated on No. 10 Shadong Avenue. It’s mainly used to provide commercial office and warehousing service as a supporting facility to the South and North City. Shadong Youli International Clothing Wholesale City is a huge market for retailing and wholesaling all kinds of garments, including kid’s wears, ready-made men’s and women’s garments, towels, carpets, underwear and shoes. For products, there is no clear distinction between South City and North City, and each floor in individual building seems to engage in similar category. All garments are targeted at price-oriented buyers. They are of low-to-middle quality but attracting buyers with an unbelievably cheap price. Over 20 years, Shadong Youli market has withstood the test of time through constant improving and persisting in keeping up with fashion trend. Now, it’s established its fame throughout the whole country, even in the far South Asia and Europe countries. Youli Clothing Market is easy to find. Just like Wanjia Wholesale market, Youli market lies within the Shahe area too. So take the same route. Take the Line 6 at Guangzhou-Baiyun International Airport, and get off at the Shahe Ding (沙河顶) Metro Station. 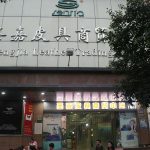 Or take Line 5 at Guangzhou Railway Station to Quzhuang(区庄), and then transfer Line 6 to Shahe Ding(沙河顶). Get out of the B Exit, and walk about 15 minutes, then you will find the Shadong Youli International Clothing Wholesale Market. Get there early. The market opens rather early in the morning. Usually it is open at 6:00 am, and in most situations, popular models will be sold out in the early morning. The early bird catches the worm. Make sure you can get there early. Otherwise, you’ll lose the chance to pick up your favorite style. Bring some cash. 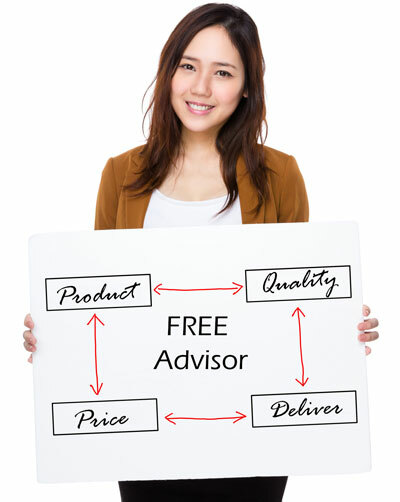 Suppliers there prefer to do business by cash on delivery. Thus, if you purchase products at the wholesale markets, the down payment is always made cash. In other situations, you also need some cash to buy samples. Invest in a folding luggage cart. A folding cart is necessary when you are ready to visit Shadong Youli Clothes Market. It’s huge and spacious. When you find some styles that interest you so much that you decide to take it, you can handle it easily with a luggage cart. 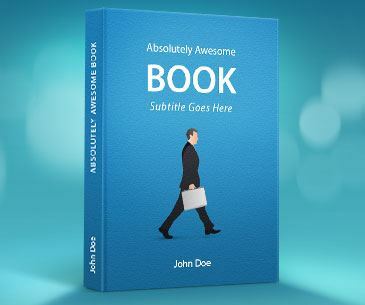 Hi thanks for the comprehensive and very useful site! Additionally, for wholesale and retail, what’s the usual quantity of purchase? The info wd be tremendously useful as we’re making a short trip really soon. Our service staff will mail you.